In the comm on room of the Department of Mathematics at the University of Warwick [same building as the Department of Statistics], there is a box for book exchanges and I usually take a look at each visit for a possible exchange. In October, I thus picked Jo Nesbø’s The Redbreast in exchange for maybe The Rogue Male. 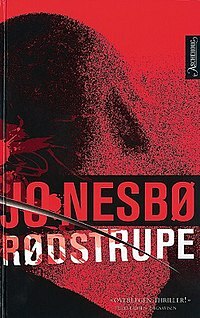 However, it stood on my office bookcase for another three months before I found time to read this early (2000) instalment in the Harry Hole series. With connections with the earliest Redeemer. This is a fairly good if not perfect book, with a large opening into Norway’s WW II history and the volunteers who joined Nazi Germany to fight on the Eastern Front. And the collaborationist government of Vidkin Quissling. I found most interesting this entry into this period and the many parallels with French history at the same time. (To the point that quisling is now a synonym for collaborator, similar to pétainiste in French.) This historical background has some similarities with Camilla Lackberg‘s Hidden Child I read a while ago but on a larger and broader scale. Reminiscences and episodes from 1940-1944 take a large part of the book. And rightly so, as the story during WW II explains a lot of the current plot. While this may sound like an easy story-line, the plot also dwells a lot on skinheads and neo-Nazis in Olso. While Hole’s recurrent alcoholism irks me in the long run (more than Rebus‘ own alcohol problem, for some reason! ), the construction of the character is quite well-done, along with a reasonable police force, even though both Hole’s inquest and the central crime of the story are stretching on and beyond belief, with too many coincidences. And a fatal shot by the police leads to very little noise and investigation, in a country where the murder rate is one of the lowest in the World and police officers do not carry guns. Except in Nesbø’s novels! Still, I did like the novel to the point of spending most of a Sunday afternoon on it, with the additional appeal of most of it taking place in Oslo. Definitely a page turner.